All pix are of the original replica. 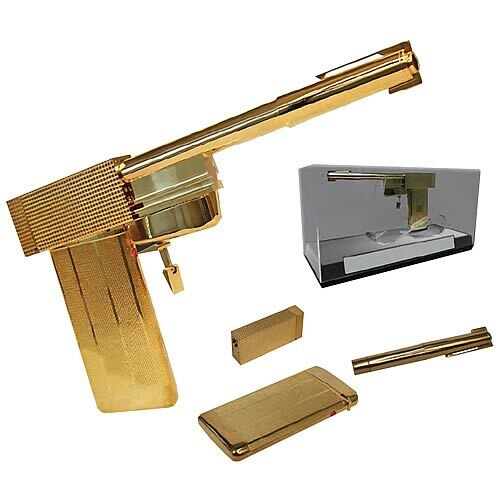 Barry Eldridge, Factory’s creative director, emphasized that the new version of the Golden Gun would be slightly different from the original replica, to preserve the first release’s collectibility. He said the company is a firm believer in keeping limited editions exactly that. What alterations will be made wasn’t immediately clear, nor was the price. 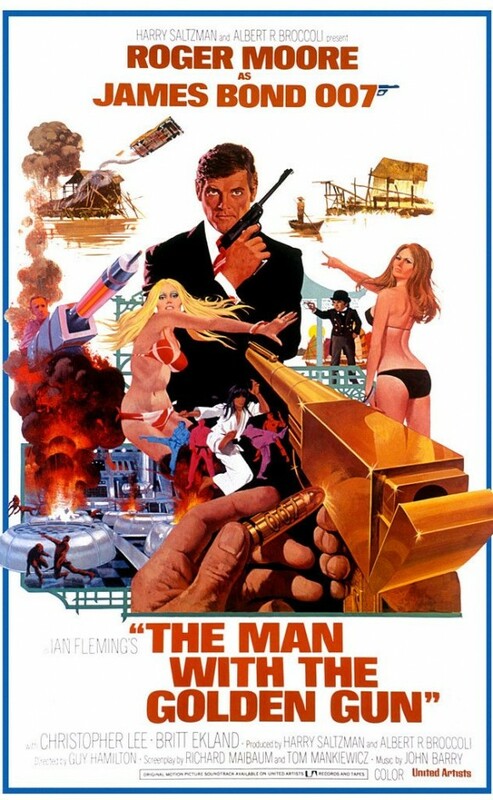 — A TRIBUTE: CHRISTOPHER LEE Will Always Be Scaramanga First. Click here. — EXCLUSIVE INSIDE LOOK: The BIG Chief Studios JAMES BOND Figures. Click here. — Complete coverage of Factory’s 1966 BATCAVE. Click here. Any updates on a release date for this yet? 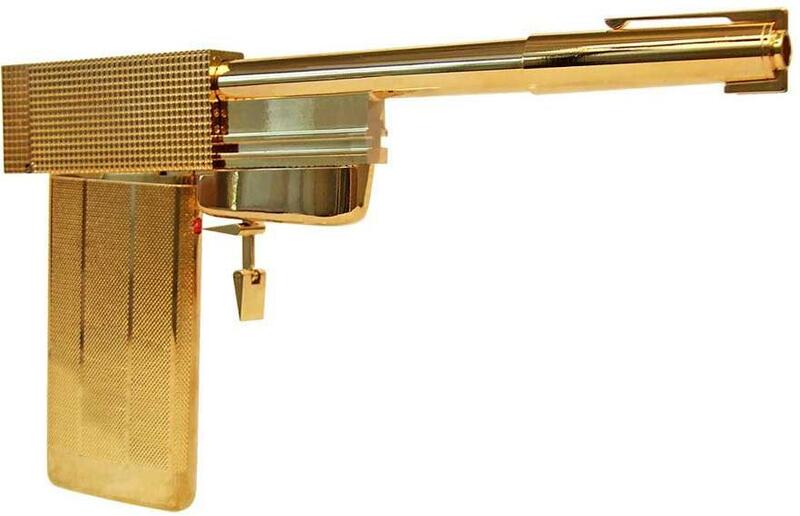 Bump: Any new news about a reRelease of the Golden Gun Replica? I have the first release by Factory Entertainment. The Limited signature edition Number 056 very low number. Only ever displayed in a dark room with box stored away. Have contemplated selling it for a few years now and price goes up every year!. Glad to hear that when a new one is released that it will differ from the first. Of course Christopher and Roger are sadly no longer with us. Peter from UK.. Please do a new release!!! Can’t wait for the new release!